President Obama’s visit to Israel is important for the strengthening of the ties between the U.S. and Israel, says Ambassador Dan Shapiro. 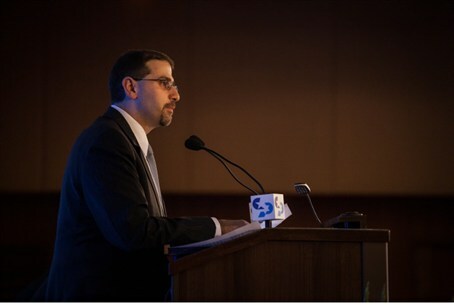 President Barack Obama’s upcoming visit to Israel is important for the strengthening of the ties between the United States and Israel, U.S. ambassador to Israel Dan Shapiro said on Monday. Speaking at the gathering of the Conference of Presidents of Major American Jewish Organizations in Jerusalem, Shapiro said that Obama’s visit is “more historic than sometimes is appreciated in the sense that only four previous sitting United States presidents have ever visited Israel." Those mutual challenges, he said, are Iran and Syria, as well as returning to the peace negotiations between Israel and the Palestinian Authority. Regarding the efforts to prevent Iran from acquiring nuclear weapons, Shapiro said that there is “extraordinarily close high-level coordination” between Israel and the U.S. on the issue. In his speech at the same gathering on Monday, Prime Minister Binyamin Netanyahu warned that Iran is taking steps that are bringing it closer to the “red line” he set in his UN speech last September. “I drew a line at the UN, last time I was there,” said Netanyahu. “They haven’t crossed that line, but what they’re doing is to shorten the time that it will take them to cross that line. And the way they’re shortening that time is by putting in new, faster centrifuges that cut the time by one third, so that Iran is putting itself in a position to cross the red line and have enough material to produce one nuclear bomb’s worth of highly enriched uranium. This has to be stopped, for the interest of peace and security, for the interest of the entire world.